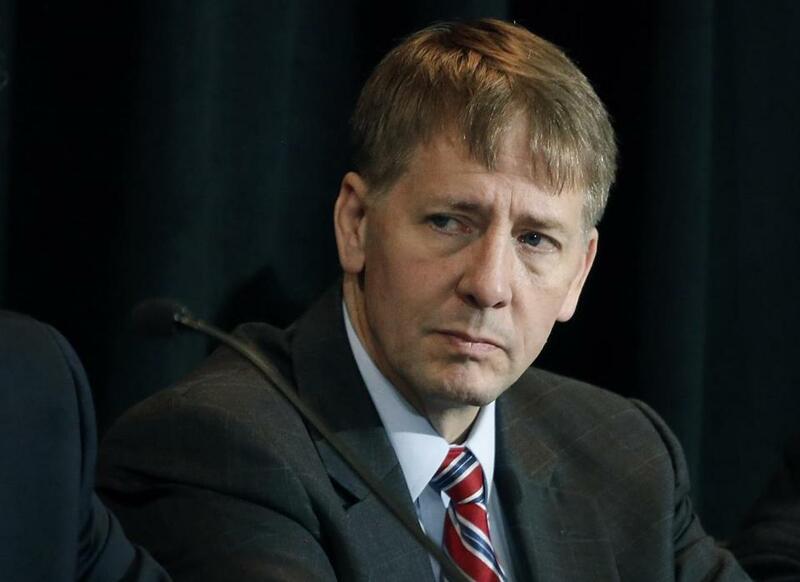 Richard Cordray heads the Consumer Financial Protection Bureau, whose new rule limiting arbitration clauses in consumer contracts is under attack from Republicans in Congress. When companies screw up, we can sue them. And when their mistakes affect a large group of people, consumers can get together and file a class-action suit. In theory, at least. Increasingly, business are using contract language that bans consumers from banding together to file class action suits. These so-called “forced arbitration” clauses require customers to submit to an arbitration process in which a professional arbitrator — often chosen by the company who wrote the contract — decides the issue, rather than a judge or jury. In 2015, General Mills Inc. even tried to make mandatory arbitration a condition of downloading coupons on its brands’ websites. The practice is alarming to consumer advocates. Customer complaints rarely have high enough financial stakes to make it feasible for an individual to sue. Removing the ability to join together in class action suits prevents them from holding big businesses accountable, advocates say. The good news is that the Consumer Financial Protection Bureau in July issued rules preventing the companies under its oversight — including credit card, student loan, and auto loan firms — from including arbitration clauses in their contracts. The bad news, however, is that Congress already is considering overturning the new rule. The House has passed a measure to undo the regulation — all but one Republican voted for the resolution and Democrats unanimously voted against it. The even worse news is that many companies not under the jurisdiction of the Consumer Financial Protection Bureau are still allowed to use these clauses in their contracts. Cable and Internet providers, mobile phone companies, retailers selling gift cards, computer manufacturers, and major online retailers are all among the businesses that require you to sign away your right to take part in a class action. First, pay attention. These clauses are widespread, but not universal. You may be able to find an alternate provider that doesn’t require the same surrender of rights. In addition, some companies’ terms include an opt-out provision that allows you to reject binding arbitration, but only if you notify the company within 30 days. Second, speak out. The Senate has not yet taken up the proposal to overturn the CFPB rule, so there is time to make your voice heard. Contact companies as well — they will never give up these self-serving clauses unless consumers demand it.